WELCOME! You have found the website for all things related to Zenair Floats. Zenair has been supplying the recreational aircraft community with proven aerodynamic and hydrodynamic all-metal floats for over 30 years. You'll find out more about Zenair and its founder and chief engineer below; use the links above to find the float-related details including available sizes, drawings, kit descriptions, prices and ordering procedures. If you have questions, use the contact link; use the float request link for a custom quote. Enjoy the pictures and the videos! Building a 2200# pre-drilled float kit. Being an engineer and not a craftsman, his all-metal homebuilt aircraft incorporated simple construction methods throughout. After a little more than a year’s work, the two-place low-wing Zenith was rolled out and successfully flown in 1969. Soon after, detailed blueprints and construction manuals for the aircraft were drawn up and offered to the growing number of interested builders and flyers. In 1973, Chris Heintz, his family and the Zenith moved to North America, where Heintz worked for de Havilland (in Toronto) as a stress engineer on the Dash 7 commuter. 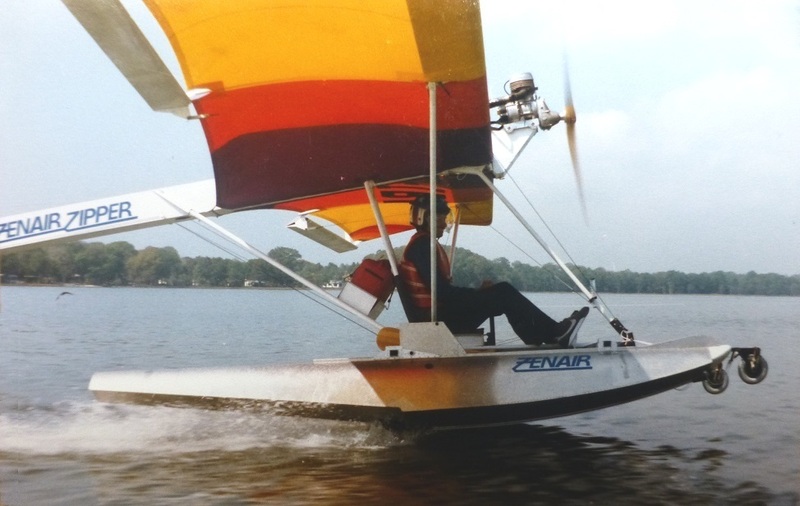 Chris decided to form his own aircraft company in 1974, and under the name of Zenair Ltd. started to manufacture Zenith kits himself from his two-car garage. Through the company, Heintz has introduced more than twelve successful kit aircraft designs over the years. In 1992, Heintz licensed kit manufacturing and marketing rights to Zenith Aircraft Company for the STOL CH 701 and the ZODIAC CH 601 designs, and subsequently developed the STOL CH 801, the ZODIAC XL, and the new STOL CH 750 light sport utility kit airplane. With a career-long dedication to aviation, Chris Heintz is a past recipient of the EAA’s coveted Dr. August Raspet Memorial Award "for outstanding contribution to the advancement of the design of light aircraft," and his designs have been honored with numerous awards around the world. In 1995 the Federation Aéronautique Internationale (FAI) awarded Zenair Ltd. the prestigious Honorary Group Diploma for "greatly contributing to the progress of aviation" and Chris Heintz was inducted into the EAA "Hall of Fame" in 1999. Designer Chris Heintz was named the LAMA / Kitplanes magazine "Outstanding Individual" for 2001. Heintz was selected by his peers (aircraft designers and manufacturers) for this prestigious award from the Light Aircraft Manufacturer's Assoc. Chris Heintz does not only design, test and promote aircraft, he is also actively involved in all facets of general aviation as a long-time EAA member, frequently giving lectures and forums at chapter meetings and fly-ins. Heintz is also a sought-after light aircraft engineering consultant, consulting to governments, organizations, universities, and private individuals. A leading authority on light aircraft design and market direction, Heintz has worked closely with aviation authorities and organizations in developing new aircraft regulations and has been actively involved in promoting aviation (and industry) in developing countries. Chris Heintz was actively involved in promoting, developing and implementing the standards for the FAA's new Sport Pilot / Light Sport Aircraft category. For information on Full Lotus floats, click here.